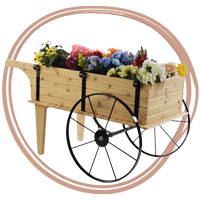 Everybody has experienced that special feeling before - the one where spring finally rolls around after a long and cold winter. 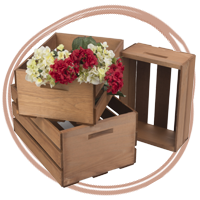 It doesn't matter what part of the country you live in - when spring is in the air we all seem to just come alive! 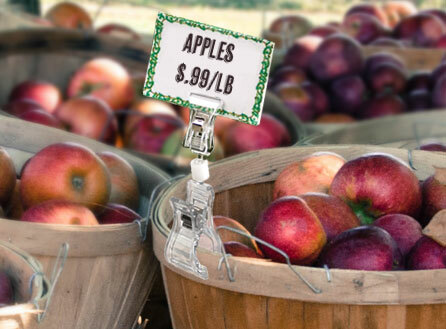 No longer in a state of perpetual hibernation, we venture out and get acquainted with our communities again, and farmers markets, orchards, and plain old-fashioned farms are all visited frequently at this time. 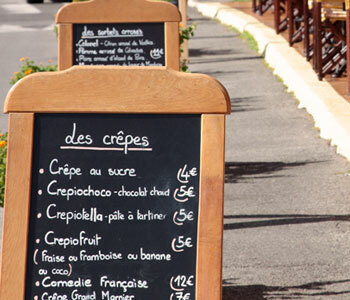 Local milk, organic fruit and vegetables, and even handmade crafts are among the sought-after items at these roadside markets. 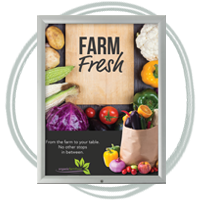 As a vendor, you'll need just the right array of farmers market displays to pull it off, so Displays2go is here to help! 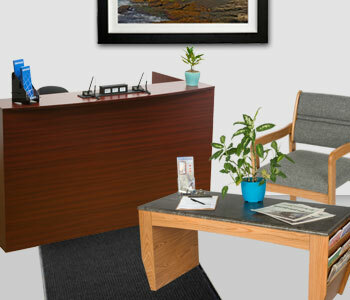 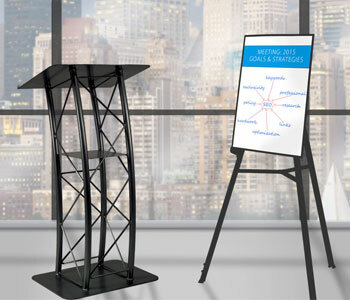 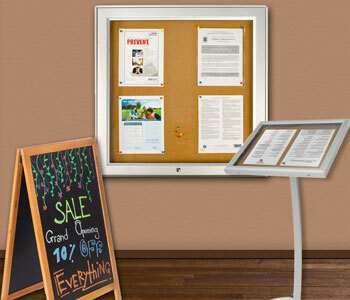 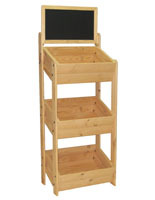 Effective sales displays in market environments begin with solid foundations. 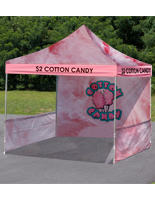 Build yours by starting with the essentials and add a branded touch by imprinting your custom artwork on your tent, cloth, or counter! 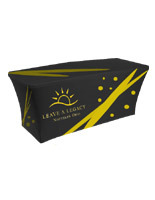 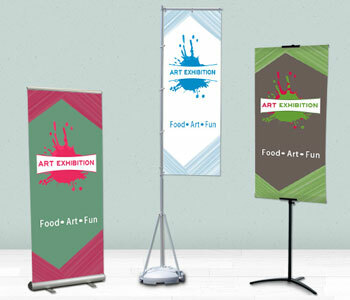 Show off your products and brand in style. 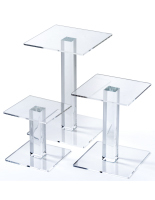 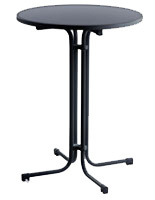 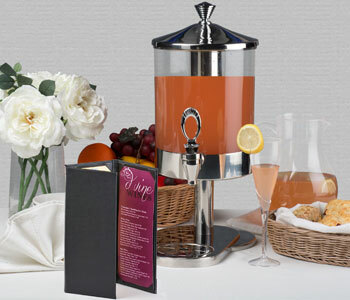 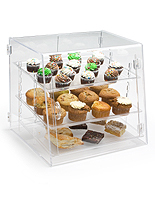 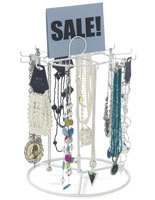 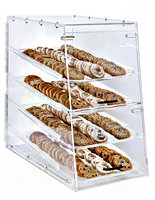 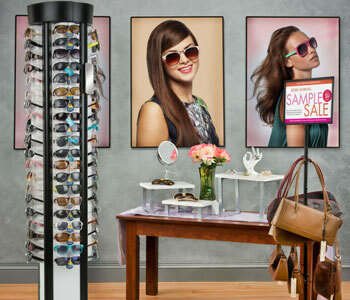 Tabletop sales accessories are the perfect addition to a merchandise stand. 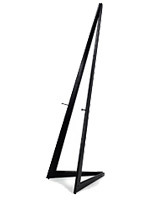 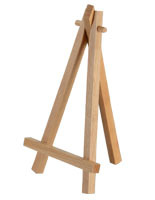 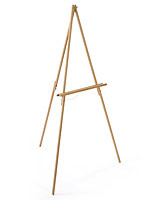 Showcase photos, menus, art, company info, or pricing with one of these easels, price tags or frames. 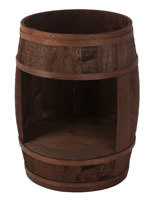 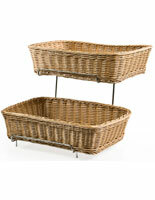 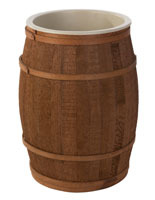 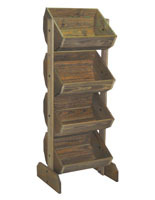 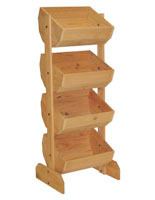 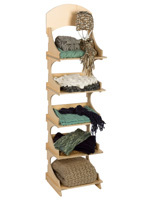 Add a rustic touch to your sales area with these unique wooden shelves and wicker baskets. 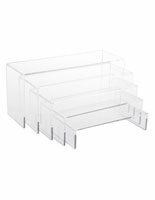 The perfect fusion of style and functionality, these merchandise displays include storage space without sacrificing aesthetics. 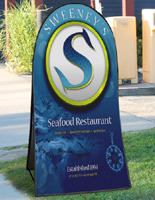 Make sure the world knows about your business. 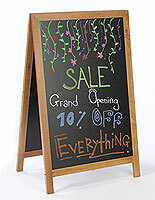 High visibility sidewalk signs, outdoor frames, and message flags should do the trick. 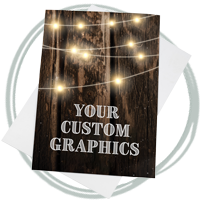 Take advantage of our custom printing, available on a variety of poster materials and sizes. 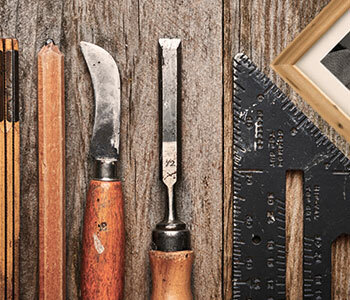 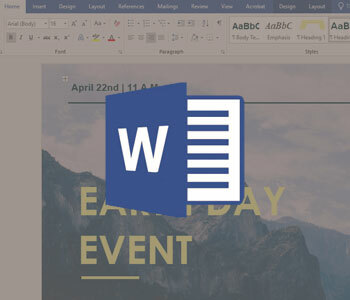 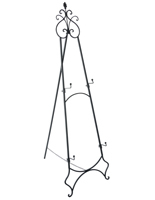 Helpful guides and tutorials written by our resident product experts! 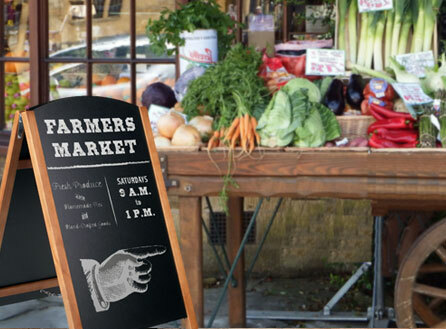 If you're strolling through a farmers market on a Sunday morning, you're sure to pass by many different types of farmers market displays. 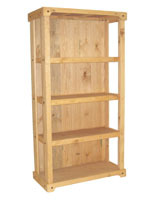 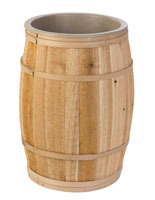 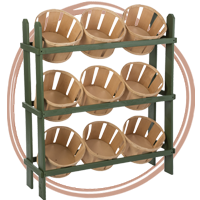 These helpful fixtures consist of wooden shelving, tables, racks, bushel baskets, wooden crates, even indoor/outdoor tents! 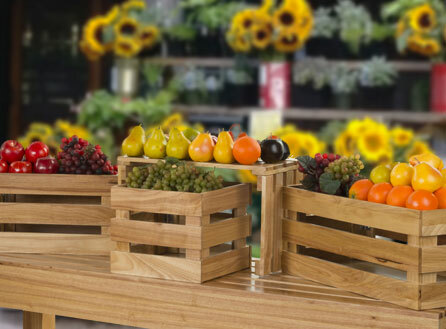 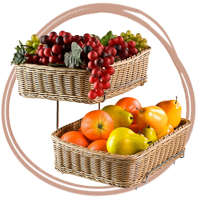 The farm-style displays are great for holding large quantities of customers' favorites like apples, oranges, and squash. 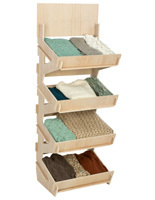 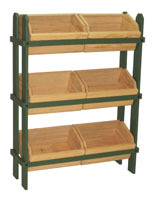 Just choose the fixtures that best fit the size and amount of the goods you sell. 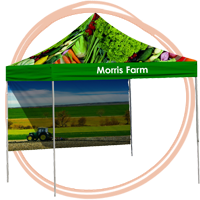 Because many farmers markets are not permanent, it's important to choose a portable display that won't be a pain to move around. 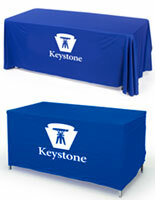 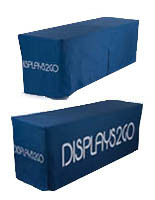 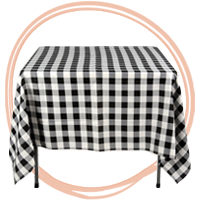 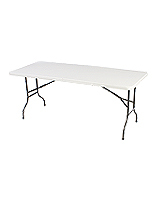 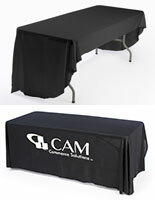 Our lightweight plastic folding tables are a great choice in these cases - just throw a custom printed tablecloth over it and you're good to go! 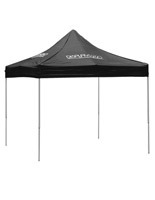 You can even choose a vendor tent with custom graphics, which is also convenient for when outdoor conditions become less than favorable. 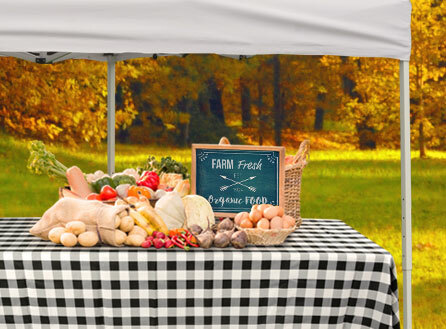 You'll want to bring some farm signs along to your next event, so you can label and showcase different produce. 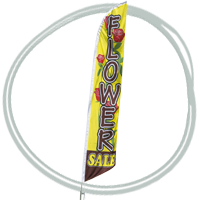 Use these displays to promote your business’ branding or highlight seasonal specials and pricing per pound. 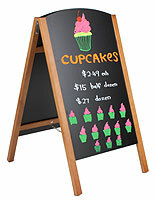 The signs themselves are popular for other uses as well. 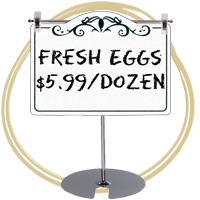 In fact, vintage family dairy signs and orchard signs are a popular choice in home decorating these days. 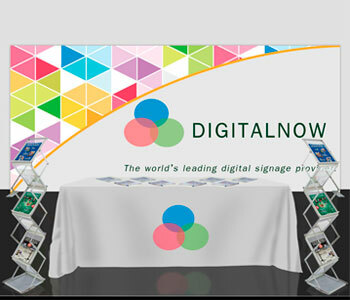 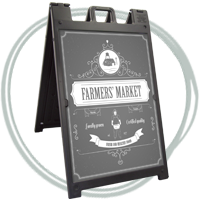 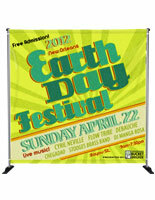 Displays2go has the ability to print custom farmers market signs, banners, and a variety of other items. 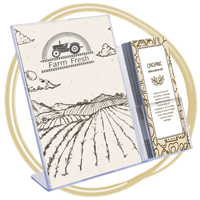 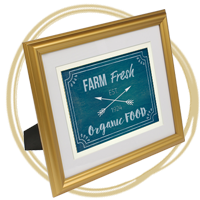 Just work with our graphics department to get your rustic or traditional logo printed on one of these great farm displays, like a wood-framed chalkboard or a vinyl banner! 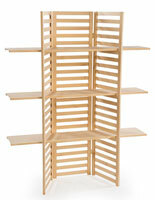 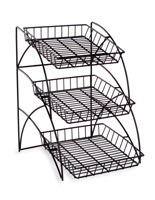 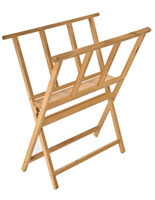 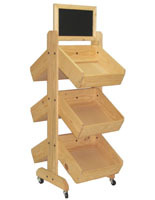 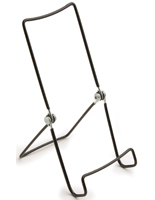 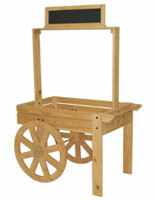 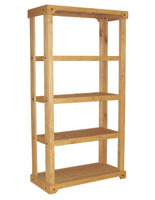 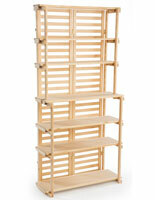 To make sure you get all those sales, be sure to stock these framers market display stands to the brim with fresh food. 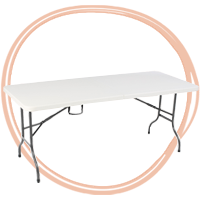 If you don't frequent community events and just work your land at home, we've got fixtures for you as well! 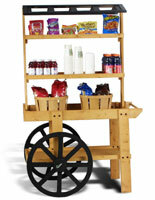 Wouldn't a roadside produce stand look great with some nice rolling carts with sign holders? 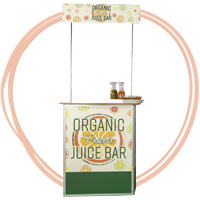 You could stock your merchandise rack with organic fruit and veggies back at your house, and then roll the cart down to the road to sell your goods! 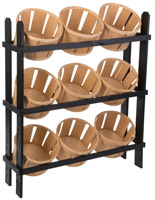 A rolling fruit stand is a great way to display your apples, peaches and pears! 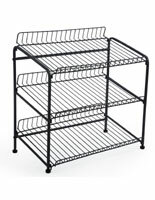 These racks are so easy to mooo-ve. 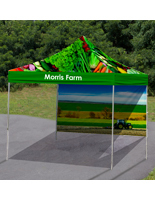 If you want to get a little more attention, try out some of our farm flags. 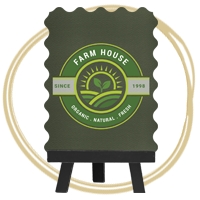 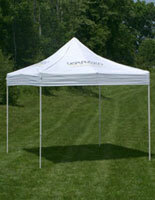 You can even purchase these waving banners with the name of your ranch or dairy printed right on it. 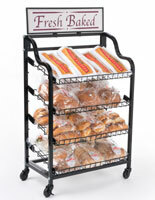 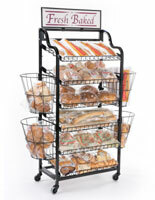 Deliver fresh foods to your community while making a few bucks with these versatile farmers displays and fixtures!